This past weekend saw not one but two New Jersey online poker rooms running online poker festivals, with WSOP.com kicking-off their Online Championships with a $250,000 freeroll, and Party/Borgata continuing their 50-event Pokerfest micro-tournament series. One player in the $250k freeroll on WSOP.com had a particularly good day, as “GB2005” finished third in the freeroll good enough for a $16,000 payday, and then went on to win the $20k Guaranteed on Ultimate Poker for another $5k bankroll boost later in the evening. Below you’ll find all of the highlights from these tournaments and much, much more. There was a slight dip in the attendance this week, but the $50k Guaranteed at NJ.PartyPoker.com/BorgataPoker.com was still the best attended Sunday Major in New Jersey. 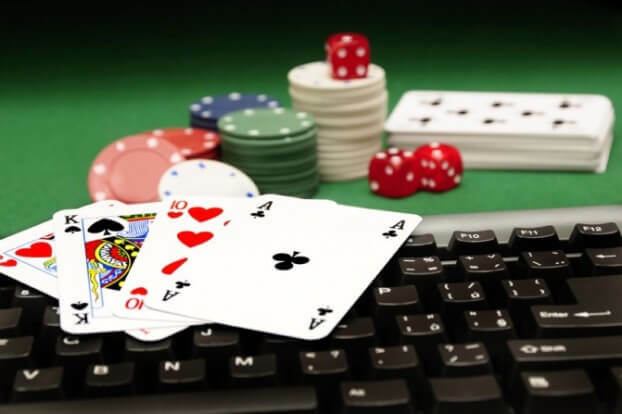 The slight drop-off was likely caused by the bevy of big tournaments running at competing NJ online poker rooms, as WSOP.com ran a massive $250k freeroll and Ultimate Poker got in on the Sunday Major action with a $20,000 guaranteed tournament of their own. You can visit the official Party Poker NJ blog for a complete recap of the final table action from the Sunday $50k Guaranteed. Bolstered by the massive field from the $250k Freeroll, WSOP.com’s flagship weekly tournament saw a substantial increase in attendance this Sunday (going from 115 entries last week to 147 this week), and easily eclipsed its $25,000 guarantee. This was the only Sunday Major in New Jersey that met its guarantee this past week. The biggest prize-pool in the relatively short history of New Jersey online poker tournaments was divvied up this weekend, after a whopping 3,663 players took part in the opening event of WSOP.com’s Online Championships. The massive field caused a minor hiccup at the start of the tournament, causing a slight delay, but all-in-all WSOP.com should be very happy with their performance hosting the 3,600 player tournament. Side Note: Freerolls always generate massive fields, but the 3,663 players offers a slight glimpse into the potential liquidity of online poker in New Jersey. Like Partry/Borgata, 888 also saw their traffic dip this weekend, which I’ll once again chalk up to WSOP.com’s massive tournament offerings this past weekend. Ultimate Poker handed out the biggest overlay in New Jersey this past Sunday, after just 104 players registered for the $100 buy-in $20,000 guaranteed tournament. Because of the lackluster turnout Ultimate Poker had to more than match the prize-pool contributed by the players, which made this one of the best value tournaments in NJ online poker history. The biggest beneficiary of the added value was a player using the screen-name “GB2005” who as I mentioned in the opening was making his second final table appearance of the day after finishing 3rd in the $250k Freeroll at WSOP.com. After coming oh so close on WSOP.com, “GB2005” sealed the deal at the final table on Ultimate Poker, adding another $5,830 to his haul which topped out at over $21,000 – and with a run like that you have to figure he won a little coin on the NFL Championships games as well.